It’s hilarious and terrible and I’ve seen it passed around a lot in the last few weeks. Dudes who know everything about everything are of course valuable contributors to society and thank heaven there are so many of them. 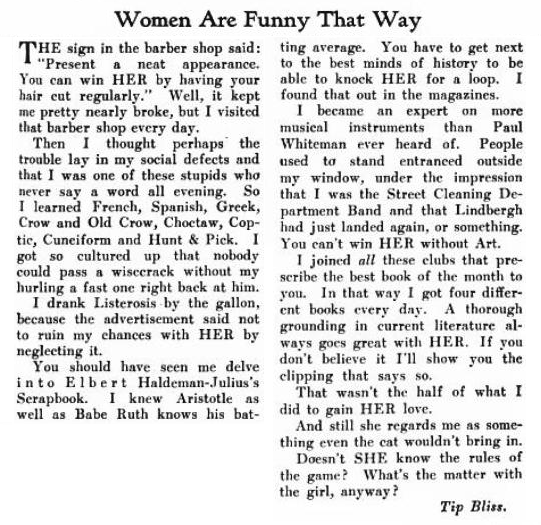 In my regular trawling of old-timey nonsense (of which I post a lot to Twitter), I happened across a brief humor column in an issue of Life magazine, 1927. Somewhere north of 75% of the jokes in 1927 Life magazine are incredibly sexist, including one on the very same page as this piece, so the fact that this one — besides very clearly poking fun at advertising — seems to deflate the suitor’s balloon a bit is notable for the time. And of course, “the more things change”, etc. The sign in the barber shop said: “Present a neat appearance. You can win HER by having your hair cut regularly.” Well, it kept me pretty nearly broke, but I visited that barber shop every day. Then I thought perhaps the trouble lay in my social defects and that I was one of these stupids who never say a word all evening. So I learned French, Spanish, Greek, Crow and Old Crow, Choctaw, Coptic, Cuneiform and Hunt & Pick. I got so cultured up that nobody could pass a wisecrack without my hurling a fast one right back at him. I drank Listerosis by the gallon, because the advertisement said not to ruin my chances with HER by neglecting it. You should have seen me delve into Elbert Haldeman-Julius’s Scrapbook. I knew Aristotle as well as Babe Ruth knows his batting average. You have to get next to the best minds of history to be able to knock HER for a loop. I found that out in the magazines. I became an expert on more musical instruments than Paul Whiteman ever heard of. People used to stand entranced outside my window, under the impression that I was the Street Cleaning Department Band and that Lindbergh had just landed again, or something. You can’t win HER without Art. I joined all these clubs that prescribe the best book of the month to you. In that way I got four different books every day. A thorough grounding in current literature always goes great with HER. If you don’t believe it I’ll show you the clipping that says so. That wasn’t the half of what I did to gain HER love. And still she regards me as something even the cat wouldn’t bring in. Doesn’t SHE know the rules of the game? 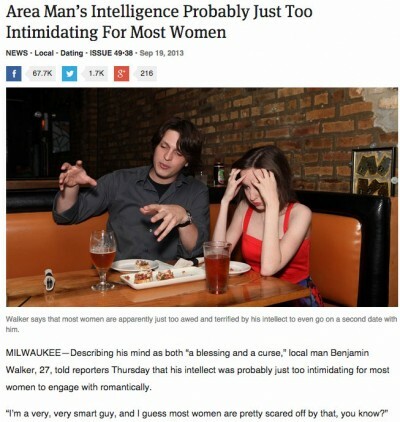 What’s the matter with the girl, anyway? 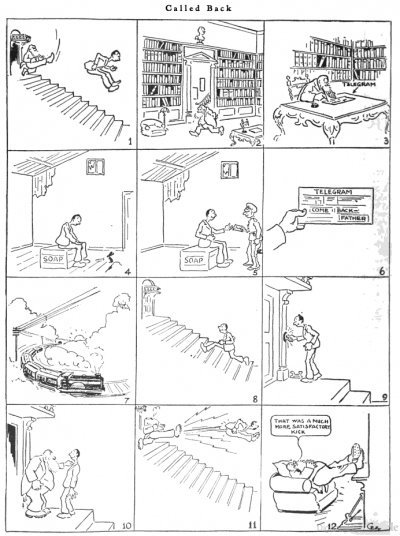 Here is a comic strip from the same year (1927, a few months later) that I quite enjoyed. Click for a closer look! I love that they’ve given over a whole page to this gag! True Stuff: Is Polygamy A Success? This entry was posted on Friday, September 26th, 2014 at 5:08 am and is filed under Blog. You can follow any responses to this entry through the RSS 2.0 feed. Both comments and pings are currently closed.